Fig. 32. 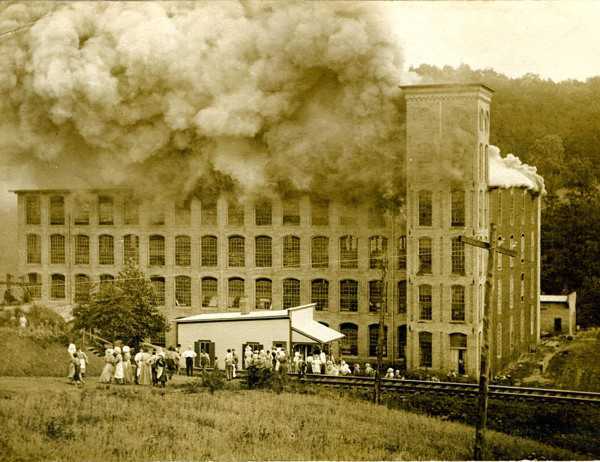 June 15, 1911, about 5:55 P.M., Fire breaks out on the 4th floor. Fig. 33. Employees and their families held at bay by heat of the fire. Fig. 34. The Avalon Mill succumbed by fire. 1. Foushee, Ola Maie, Avalon: A North Carolina Town of Joy and Tragedy (Chapel Hill, NC: Books, 1977), 77-81. Fig 32 - Unknown, Avalon Mill Fire (1911), Location, Avalon, NC, Postcard [from North Carolina Post Cards: North Carolina Collection, University of North Carolina at Chapel Hill, accessed June 30, 2011, http://dc.lib.unc.edu/u?/nc_post,867]. 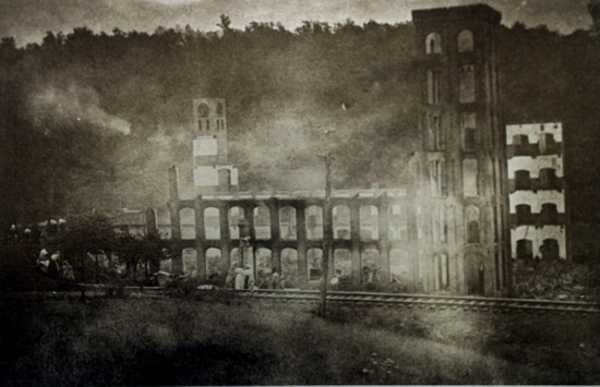 Fig 33 - Unknown, Avalon Mill Fire (1911), Location, Avalon, NC, Image [from Avalon: A North Carolina Town of Joy and Tragedy (Chapel Hill, NC: Books, 1977), 83]. 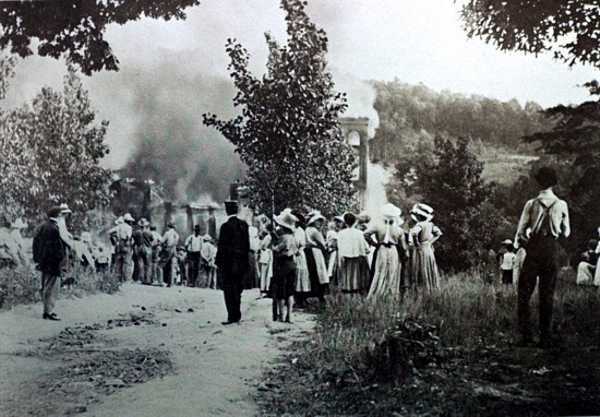 Fig 34 - Unknown, Avalon Mill Fire (1911), Location, Avalon, NC, Image [from Avalon: A North Carolina Town of Joy and Tragedy (Chapel Hill, NC: Books, 1977), 87].